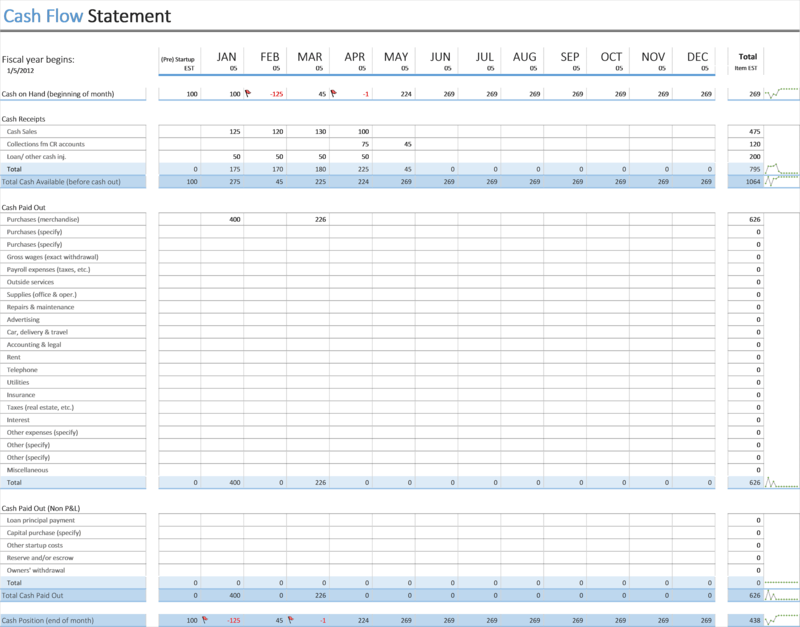 Use this Cash Flow Statement Excel to analyse or showcase the cash flow of your business for the past twelve months with this Cash Flow Excel template. Sparkline’s, conditional formatting, and crisp design make this both useful and gorgeous. Use this Cash Flow Statement to identify problem areas in your business so you can plan to mitigate against them reoccurring. …with this Cash Flow Statement Excel template you will be adding an essential tool to help you keep track of your expenses, manage your cash flow and keep your business cash positive. …with this sleek, well designed Cash Flow Statement, there is no need to worry about layout or formulas, as we have taken care of all of this for you. …to provide investors with a clear perspective on the cash requirements of your business. This Cash Flow Excel Template is ready for you to start using right away!